First up we have the Wavefront Precision Series, a new generation of multipurpose line arrays designed to bring Martin Audio’s signature sound, coverage consistency and control to a broader range of touring applications, installations and budgets. 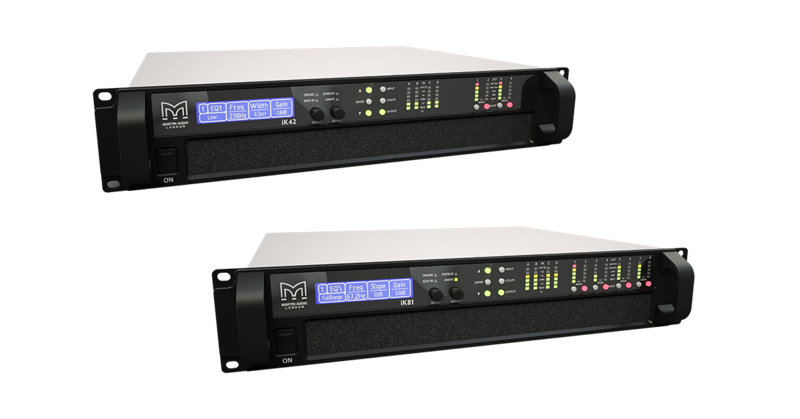 Comprising the WPC (2 x 10” LF) and WPM (2 x 6.5” LF), Wavefront Precision line arrays are designed as complete systems with the newly announced external iKON® multi-channel amplifiers optimised by Martin Audio’s automated DISPLAY software. To accompany the new Wavefront Precision, two new subwoofers were unveiled the SX118 and SX218, a single 18” and double 18” respectively. Next in the roster of new products are the XE Series, bringing engineering innovation to high performance stage monitoring. Developed in consultation with leading monitor engineers and combining sleek, low-profile enclosures with unique Coaxial Differential Dispersion technology and a patent pending third static waveguide, the XE300 (1 x 12” LF) and XE500 (1 x 15” LF) are designed to deliver perfect monitor sound with a defined coverage pattern that allows the artist freedom of movement, while reducing overlap with adjacent monitors. The XE series are designed as a complete system and is partnered with the new iKON 4 channel amplifier, maximising the capability of the monitor while ensuring both engineer and artist can be confident they will experience the same high level of consistent performance from an XE monitor anywhere in the world. Finally, the last series to be unveiled is a brand new LE range of stage monitors. Complementing Martin Audio’s high-performance XE Series monitors, the latest LE Series now brings engineering innovation to everyday stage monitoring — delivering exceptional performance and controlled coverage at a price point not previously possible for a truly professional monitor. Both the LE100 (1 x 12” LF) and the LE200 (1 x 15” LF) are designed for a wide range of users and applications — from up-and-coming bands and regional rental houses, to corporate AV events, HoW and fixed installations. 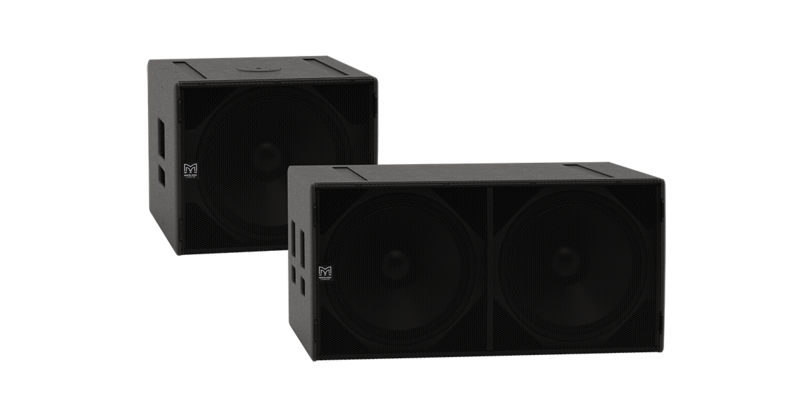 With extremely compact enclosures and the same Coaxial Differential Dispersion drivers as the CDD-LIVE range, the LE Series monitors deliver cut-through sound with a coverage pattern that allows performers greater freedom of movement compared to conventional monitors. Instead of the typical ‘hot-spot’, they produce a near-rectangular coverage pattern over a listening plane at head height— with a wide horizontal coverage close to the monitor that reduces gradually as distance increases to maintain consistent SPL and tonal balance. The new iKON amplifiers complete the circuit. Top quality loudspeakers require top quality amplification and control. Martin Audio offers just that with the iKon amplifiers; advanced amplifiers with very high power density, superb audio performance, state-of-the-art DSP and network control. iKON is a range of two 19" power amplifiers, one 4 channel (iK42) and one 8 channel (iK81). Both products are equipped with Dante and DSP and full control is provided via Martin Audio's VU-Net software platform.